As Christian doctors, we have excellent opportunities to share about our Lord Jesus Christ. Today’s devotional verses stated ‘in work or deed’. Yes, we are to share about Jesus in words if circumstances allow, being mindful about professionalism. In deed always, as we serve our patients in the way of love. The key to the verses is on the ‘you’ rather than on what you say or do. Our life and character is the best testimony about our Lord Jesus Christ. We are called to be witnesses for the expansion of the Kingdom of God. A witness is one who speaks or reveals what she has seen and experienced. Who we are, not just what we do that reveals Christ. It is important that we are credible and reliable witnesses, bearing the fruit of the Spirit. The testimony of our witness is to be full of love, joy, peace, patience, kindness, goodness, faithfulness, gentleness, and self-control (Gal.5:22-23). In addition to our characters, our attitude counts. Our attitude should be one of gratitude. Being gratefully and always giving thanks changes us in profound ways. Gratitude is a choice. Like the metaphor of seeing a glass half full or half empty, gratitude is choosing to see the positive in all things, even when everything has fallen apart. Why? This is because our God is a sovereign God. He is in control. As doctors, we have been trained to believe that we are in control of our patient care. In reality as we discovered later, that is a delusion; that we are in control. Our treatment protocols are mere statistical probabilities that the treatment will work. In spite of our large armament of medicines and latest high tech-equipment, our patients often do not respond as we expected. It is important that we realize that healing comes from the Lord. We treat our patients and prays that it works. And we are grateful that most of the time it does. As doctors, there are good days and bad days. Good days are when everything goes well; patients are recovering, the waiting room is not overcrowded, the medical team worked well together, nobody died, and you have time to enjoy your second cup of coffee. When patients crashed, treatment protocols failed, your clinic outpatients are overflowing into the corridors, a few ire patients’ relatives are waiting to rant on you, and that is before you have your coffee yet; these are bad days. We all have our share of good and bad days. We are called to walk in the ‘way of love’. This is easy on good days but very challenging on bad ones. So what does this way of love entails for us doctors? What it means is that we do the best we can, all we can within our limitations, and leave the rest up to God. Follow God’s example, therefore, as dearly loved children 2 and walk in the way of love, just as Christ loved us and gave himself up for us as a fragrant offering and sacrifice to God. The best we can for our patients is when we are focused on them as persons instead of problems. We see our patients holistically; as persons precious in the eyes of God. We treat the whole person, not just the dysfunctional part. And we do it with love, the same love we show to our families. We act in love. Not all patients respond to our loving acts. Some patients are incorrigible and unlovable. Yet, we are called to act in the way of love. We are called to love because of God’s example. Jesus Christ, God incarnate faced similar good and bad days like us. The Great Physician healed ten persons with leprosy but only one came back to thank him (Luke 17:11-19). He was mobbed in the marketplace and a woman trying to steal his healing by touching him- she was healed. (Mark 5:25–34, Matthew 9:20–22, Luke 8:43–48). Jesus’ life is a prime example of an offering his life as a fragrant offering and sacrifice to God. And we are called to do the same. Dear God, help us to walk in the way of love for our patients’ and your sake. If you can survive medical school, you can survive housemanship. Housemanship is swimming without your floats or bicycling without your training wheels. In medical school you have been cuddled and well protected. The gloves are off in housemanship. Welcome to the real world! Medicine is both a science and an art. Medicine involves both the head and the heart. You may be a distinction-level medical student with a head full of knowledge. Without the heart to provide wisdom and compassion, you will not become a good doctor. Yes, you may have the certificate. This certificate marks the beginning of your journey, not its end. Housemanship and MOship gives you the opportunities to develop both your head and your heart. Use these opportunities well. You are being inducted into a noble vocation; a calling to comfort often, to cure sometimes but most of all to do no harm. Paediatrics is a calling within the arena of medicine. It deals with little people. Added to the role of a physician is the one of an advocate. You are the voice of your patients to the rest of the adult world that are often act in ways that are detrimental to their well being. Your role is to protect and nurture them as they develop during the first seven years of their lives. This is when the foundations of their bodies, personalities and emotional wellbeing are developed. The rest of their life are just renovations. Studying and studying hard are the defining characteristics of a medical student. During my varsity days, as my friends from the Arts and Science goes off to the pubs and parties for the evening, the standing joke are that the medical students are monks and nuns who have to stay back to fulfil their daily ritual of offerings to the god of medicine. Studying and studying hard are still the hallmarks of medical students though I note that the newer textbooks are written in simpler language, more colorful and very much thinner. Maybe in the past you depend on your intelligence to get away from hard work. You studied and understand the system in your secondary schools and colleagues. Using this knowledge you are able to coast through with minimal work. This may work when you are the most intelligent fish in a small pool. In medical faculty, things are different. You will find that everyone is as intelligent as or even more intelligent than you! Everyone is smart, committed and well-motivated. The game has changed. So must your game plan. It is no longer enough to do the minimal and just coast by. You will have to study and study hard. There is a core content of knowledge that you have to assimilate and there is no other way of assimilating this except to sit down and study. The commonality of students who failed and have to repeat the year are their inadequacy of their core of content knowledge. Not only you have to study harder, you also have to study smarter. There are a lot of information in each medical discipline but you are not required to know everything. You are required to know what is common and important. Start by finding out from your tutors which are the common and important topics. Some departments have helpfully identified these topics for you. Study these topics and remember them well. Rare conditions may be fun to memorize but this impresses nobody, especially your consultants. Make notes, create keywords and develop a way to memorize these information. Memorization works by repetition; so repeat, repeat and repeat. Finally, make learning a way of life. Students love to try to beat the system by studying past years’ questions. And it may even work, allowing you to graduate on time. The final test of all your studying is not in the exams results or your piece of diploma but when you are faced with a very sick and dying patient. It is 4am in the morning and there is no senior staff around to consult. The patient’s life is in your hands. You are on your own and your only recourse (aside from Google, which may not be too helpful) is your own assimilated core of knowledge. Build the foundation for your core of knowledge now as a student and continue to study and add onto it the rest of your professional career. I have never visualized myself as a medical educator. I always thought that I will practise medicine until I cannot practise anymore and they will drag me feet first from the hospital. So when Monash University from Australia first explored setting up a medical school campus in Malaysia with its clinical school in Johor Bahru, I attended their first meeting in Johor Bahru in 2005 more out of curiosity than anything else. Things moved rapidly after that and before I knew it I was signed on as a teacher and the first batch of students started arriving in 2007. The first classrooms and lecture halls were located in the renovated Hospital Sultanah Aminah’s administration block. Subsequently as the student population increased, more classrooms appeared in the rented Hokkien Association Building until the present ultra-modern looking faculty building was built. 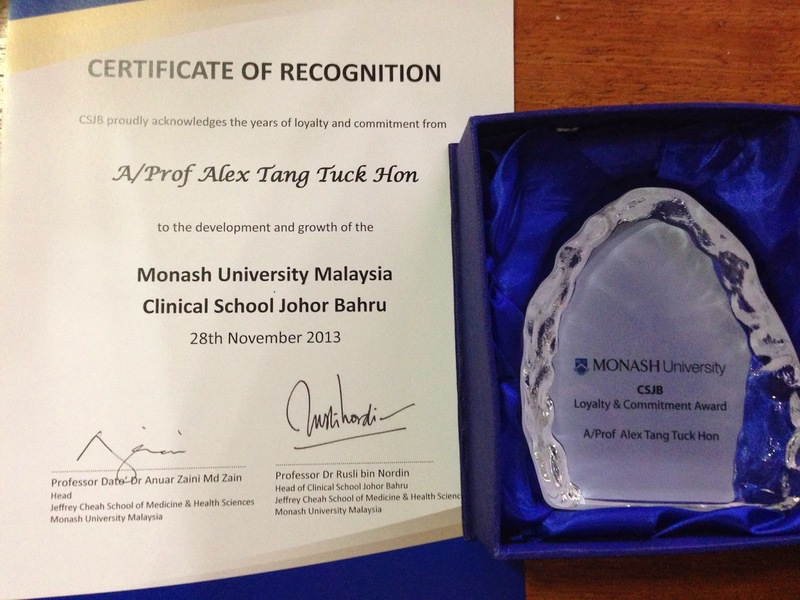 I was recently given recognition and award as one of the pioneer faculty of the clinical school. It was nice of the University to do so. The occasion gives me an opportunity to reflect on why I am involved in teaching in a medical school when I am already so busy with my private medical practice and other stuff. Here are five reasons why I am there. Teaching – I always thought of myself as a lover of learning so it was a surprise to discover that I also have a passion to teach. As I begin to interact with students, I find that I enjoy their interactions, their hunger to know more, and their willingness to experiment with different modes of learning. This is an eyeopener for me as it exposes me to the newer technologies and interconnectiveness of the era. I am still amused by a class discussion where there were 8 students and 8 open laptops and nobody was talking to each other. I also discovered that Dr Google is their new best friend. When I asked them a question they immediately asked Dr Google! It was their youthful enthusiasm for life that bowled me over. They makes me feel younger with their zeal for life. Sharing the hard knocks– in medicine we learn much more from our failures than from our successes. After three decades of practising medicine, I have collected enough hard knocks to share with these young aspiring doctors so that they do not (hopefully) have to repeat these same mistakes. These hard knocks are earned with a lot of blood, sweat and tears. Practising the art of medicine – the science of medicine is usually the concern of most students as they have to assimilate enormous amount of information in their course. Medicine is as much an art as it is a science. The art of medicine comes from practice, reflection and the intrinsic character of the doctor. There is a integrity demanded from medical practitioners in order to be successful healers. Medicine is never a business. Learning from my students – my students are teaching me more that they suspected. From them I learnt about the latest academic writings, their hopes and aspirations, and the way to adapt to change as a constant in their lives. Medical legacy – medicine is built upon the foundations of apprenticeship/mentoring. As I looked back in my career, there have been many doctors who have influenced, challenged, and molded me to be a better doctor and subsequently a better person. To them I owe a great debt of gratitude. I will like to repay that debt by continuing this medical legacy. The challenge in Malaysia with its large numbers of medical schools is to find excellent, committed competent doctors who are willing to sacrifice their time and money (to some, time is money) to teach the new generations of young doctors the art and science of medicine. Woe to the people of Malaysia if it is flooded with a large number of poorly trained doctors with their licences to ‘kill’ instead of heal. These habits are not something new but what we have been doing. However we do need a reminder now and then to do a reappraisal as we are aware that habits tend to slack due to familiarity, busyness, and a tendency to take short cuts. 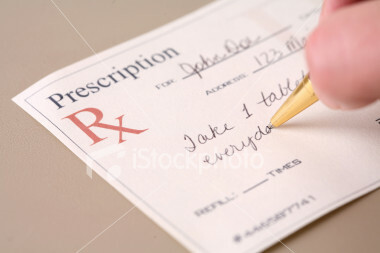 The GMC (2013) further adds that “[y]ou should make sure that anyone to whom you delegate responsibility for dispensing medicines in your own practice is competent to do what you ask of them”.Not only is it our responsibility to prescribe but also to ensure that our patients receive our prescriptions appropriately and accurately. We need to check that our ward staff are doing that. Is Dr Google My Competitor? Increasingly, I find that many of my patients’ parents have googled their children’s problems before bringing them to see me in my clinic. Gradually, I have been eased from being the first and primary source of healthcare information by Dr Google. Should I be concerned? Yes and no. Yes, because there is such a pleothora of information out in cyperspace that it is difficult to distinguish the facts from the trash. Anyone and everyone can set up a blog or website and give their two cents’ worth. Whether their two cents is worth anything, given the inflation nowadays, is questionable. In the websites of reputable centers such as the CDC (Centre for Disease Control), universities and peer-reviewed journals are a lot of useful information but the general public is generally not equipped to interpret this information and apply it to their own conditions. Support groups and information produced by companies are sometimes useful but often dubious and laced with hidden agendas. Unlike other sectors, the health care sector must rely on a shared understanding of complex processes to be optimally effective. According to the Institute of Medicine, that shared understanding can and should be extended to patients . Online supports for patient engagement may eventually become an integral part of the process. In fact, new data from the Livestrong Foundation suggest that patients do better at self-management once they begin to feel comfortable with their ability to search for and find medically relevant information from a variety of sources. Similarly, by demonstrating a respectful rather than scoffing attitude toward the patient’s sources, one can convert a potentially adversarial discussion into a more collegial one. When patients share their sources of information, they are also demonstrating trust in us and giving us insight into their thinking. What do they really think of our diagnoses and treatment recommendations? These are questions for which we need answers; they hold the key to fostering patient adherence to treatment regimens. We can make the patient feel comfortable by acknowledging that they are not taking their medications, or that they are taking alternative treatments outside of our prescribed plan. These situations also offer an opportunity to give patients advice about finding reputable sources of medical information. We can ask them about their sources, and along the way suggest sources we know to be providers of good quality information. As we doctors have embraced other technologies in our patient care, we must recognise that the Internet is another tool in our arsenal. Like other technologies, it must be used responsibly. This is a letter written by my dear friend, Assoc. Prof. Wong from Monash University Malaysia in response to an inquiry by Daryl. It is reproduced here in full with his permission. Your aunt has asked that I share with you my thoughts on medicine and medical education today. Let me start by saying that I am most blessed to have trained under your Aunt, Prof Florence Wang, and I recall my time in ward 12A at University hospital under her as a most formative part of my training. Thank you Prof! It has been 3 decades since then and the world has changed. The world of Medicine and medical education has changed beyond even the most imaginative of us all had dared to dream. Some things are good and much detrimental. I will have to ask you very honestly why you wish to pursue a career in Medicine for this is very important. Most students simply have very little knowledge of the world of medicine and some very quickly become disillusioned in their clinical years. ALL my students come to me with FULL distinctions or stand at >97 percentile of their cohort; that they are brilliant is without a doubt but sadly many are NOT that motivated to serve humanity. They come into medical school because their results qualify them too, they sing the right well rehearsed song at the interview and because they think it is prestigious, they want to be a medical student! But the real world of sick humans with all the smell and excrement and drains rapidly reverse all those good feelings, and harsh reality sets in. Osler a great Physician whom your aunt and I both greatly admire said that THE VERY FIRST QUALIFICATION is a Love for Humanity. I believe that that quality is far more important than all the ‘A’s in your result slip. AS a GOOD doctor, You will be very important. We have plenty of doctors but not many GOOD ones. The future of many lives and families depend on what doctors do and SAY; imagine all the Good or Damage that can be done. But to be a good doctor is NOT easy. I just had a tutorial with my students and told them that the VOLUME of information that they need to read up is so MUCH that any serious student will honestly spent ALL his time doing very little but STUDY. I hope this realisation will help you understand the quality of life you will have as a medical student, or rather the lack of it. Modern medical education has moved far beyond lecture based learning; here in the Clinical school the word ‘LECTURE’ is OBSCENE and students learn through SDL – Self directed learning. Its philosophy being that the advance of knowledge is so rapid that Students MUST learn to teach themselves rather than being taught formally in a Lecture Hall. This demands very matured and disciplined students for to the lazy student, SDL means Sleeping DeepLy. Are you prepared for years of being a nerd? Please remember that Doctors are first and foremost Diagnosticians… those training under me MUST not only be skillful in diagnosis and management but also in social skills and leadership. When I was under your aunt, she demanded History taking so detailed and meticulous that ‘War and Peace’ looked like a short story in comparison. Today students speak in SMS like language, and do “Focused History Taking” instead of Detail History taking. Yes the Art of Clinical diagnosis is dying, and High Touch Medicine being replaced by High Tech Medicine. In many Once Prestigious Universities which I will not name, Final Year students now teach 3rd year students Clinical Methods!!! Your aunt will tell you that 3 decades ago, only the senior consultants in UM were allowed to teach Clinical Methods as it was considered so very2 important. Osler is certainly turning in his urn!! In your mind, do you envision yourself as a doctor spending hours talking, feeling, touching, examining the patients…. or a doctor ordering scans and more scans with nary a glance at the nameless poor sick man lying on the bed? Ask yourself that question now. Yes, the practise of Medicine is in trouble. Blatant commercialisation, rampant blood tests done without any doctors ordering or supervising, scans and probes of all kinds, are being conducted by laboratories and some doctors misguilded by wants rather than needs. When your aunt was holding the fort at Ward 12A, her ward rounds will start at 8am and the whole entourage of she the Professor, Dr HC Ting the lecturer, the Med Officer, The Houseman and the medical students will follow her from bed to bed. The Med Student or the Hseman will present the LONG DETAIL history and she will then TALK TO EVERY PATIENT WITHOUT EXCEPTION about aspects of the history and personally examine every patient to confirm or correct the juniors’ findings. This of course was a Long tedious process and the rounds will stretch till 1pm. But it was the Art of Clinical Diagnosis at its finest. Today, I am sad to report that rounds are spent looking at scans and reports and its a RARE occasion that the Consultant lays his hands on the sick. Sadly I am not exaggerating. I wish I am. Hope lies in every one of us doctors, present and you the future, for the sensible management of patients; YOU remain the hope for untold numbers of patients in the future. Sadly some doctors see patients not as patients but as a disease that needs treatment which provides our source of income. This is nothing new, physicians like Osler had repeatedly cautioned against not forgetting the man behind the disease, and medicine as a calling rather than a business. Many doctors are unhappy with their work or simply too busy to talk, console or listen. Yes thats life in the 21st century where we sms instead of talk. Many just treat the disease and completely ignore the person who has it. We hear endless tales carried by patients of doctors who grunt instead of talk, who are capable only of monosylable conversation and who zip patients in and out of the consultation room with a speed that will make Superman jealous. I try my very best to teach my students the Art of Clinical Diagnosis but even I fear that its a losing uphill battle. My colleagues and I here are led by Prof Khalid who is a old school clinician, and we refuse to belittle the Clinical Art despite the advancing machinery all around us. Students are amazed and impressed by all the wizardry and sometimes to my frustration fail to practise the Clinical Skills as much as I want them to. Ask yourself Daryl, what do you want? I do not want you to come to medical school and be disillusioned by what you see in the REAL MEDICAL WORLD as compared to the idealised world that we had projected. Doctors must never forget why we became doctors in the first place, and the wonder of caring for fellow humans. Some may be a bit burnt out. We had in our careers, seen and taken care of more pain and misery than most people. We saw prostitutes, drug addicts, criminals and the worst of humanity. Yes, this is another point that I must raise to you. AIDS today is the TB of your aunt’s era, its everywhere! Most of my students come from very privileged families or they cannot afford the fees! Hence it is a shock to many when confronted with Vagabonds, homeless, addicts, pimps and Prostitutes. All the glamour flushes away when you realise that such folks are among the many that you will encounter daily unless you are in some Beverly Hills practise. But of course we also treated decent human beings, doting grandmothers and innocent children. No doubt, the demands on our skills and the medical-legal complexities that accompany our practise would have made even the greatest of our medical ancestors shudder. And for this your training is NOT the 5 years of medical school BUT many2 years beyond. Are you prepared for such a LONG time spend in studies and training? You had read Dr Pagal’s blog and written to him, while he may be harsh and discouraging, much of what he wrote to you with regards to THE SYSTEM has some truth to it. The system is basically dictated by our political masters, a system undeniably sick, and Dr Pagal has written frankly of much of our woes that only drastic administrative tsunamis can repair. Yes the system only makes it more painful. Long waits for post graduate training positions is the norm now. Regulations as thick as a medical text. Pharmacies selling controlled medicines like sweets. To change that will require one of us to be the next Prof Virchow, plunging head on into politics to make a difference. In school we rose above the hoard, we were the cream de la cream, and yes I can testify to that in my students. Some are so brilliant they frighten me. We obtained results the envy of most and we strove with pride to enter medical school. Could the same students have done well in other fields? Of course they will shine too!! In medical school you will work like ants on a long march. You will stare at slides till you see mitochondria in your dreams and memorised volumes of facts and figures. Some of my students are NOT prepared for this; they thought that it will be a smooth passage and when they hear this old Professor here telling them to read XYZ, they simply turn off and zone away. Are you ready for a student life that has NO LIFE?? I take them for tough postings in Internal Medicine, I am among the strictest examiners, I expect the students to flourish in the drudgery of crowded wards, to work till hypoglycaemic on medicine rounds, to perform every procedure required in the book, and of course to pass their exams reasonably well. I expect them to look at X-rays until their eyes turned red. And do I have such students? Yes, I am blessed that many such students have walked the wards with me. And I am proud of them. And I know they will overcome every obstacle invented by our political masters to excel in their fields because they have the fundamental quality to be a good doctor; their love of Humanity and of the Art of Medicine. You will finally graduate and become a houseofficer. Yes the field is as packed as sardines from Msia to UK to Australia, Dr Pagal is NOT exaggerating when he says that jobs will be difficult to come by soon. But if you are GOOD, you will be wanted! Its TOUGH I do not deny and TOUGHER as the years pass by, BUT again I emphasize, if you are good, you will be wanted for the good doctor is a rare specimen. A few years later, you will pick a specialty, from paediatrics to surgery, family medicine to cardiology, internal medicine to radiology, and shuffled off to more clinics, rounds grand or otherwise, work and studies. And MORE EXAMs. Girlfriend? Oh what Girlfriend!!! In the 80s, new diseases appeared. I still recall with trepidation managing the very first patient admitted to our hospital with AIDS. We knew very little but feared a lot. As registrar, it was my duty to examine him. But again we survived. And learned. Now at almost every bedside teaching, I see patients with HIV. In your generation, you will see many2 more new ones, from Avian flu number something2 to any new thing that crosses species as humanity ravish the environment. Ready for that? Your youthful enthusiasm and dedication will push you through the initial years. As young doctors, weren’t we incredible then, if only because we came back to the wards night after night, day after day for emergencies, calls, rounds or simply a ’tissued’ drip. “Bengkak” the nurse will phone and we leave our dinner to struggle with chemo wrecked veins for IV access. Did you know that your aunt will reprimand the ladies for coming to the wards in pants? It is NOT acceptable then but now almost all my female students come in pants! OOPs sorry Prof for leaking such old tales! We as doctors try to hold onto our commitment to heal, that wonderful calling. Then we see another world – the realm of the business of medicine, where every disease is a “case” to be investigated. A very senior Professor tells me she had seen doctors ordering investigations before even taking a history! Here is also the world of the grunting and monosylable doctor, the superman of 2 minute consultations and management. True, the superb rare genius of a diagnostitian may well have obtained all the data that he needed sub- 2 minutes, but the poor human called ‘the patient’ needed at least 6 minutes of compassionate conversation. (By the way, that is why the OSCE exam is 6 minutes long, or SHORT from your examinee viewpoint.. now you know how the patient will feel when the consultation is even shorter than this!). Recall that the only reason the woman in labour remembered the attending medical student is because they held her hand while she screamed. We are the descendents of Aescalapius, the inheritors of all that is noble in the Hippocratic oath. We may fail to change the ideas of many doctors however we may preach from some illusive high moral ground. But as individuals can YOU NOT lose that ideal? If you can, welcome to the world of medicine and modern medical education. You will thrive no matter what! If not, seriously reconsider another vocation. If we tell our students that the learning of medicine is through their apprenticeship to us their seniors, then we better be sure that we are good role models. Your aunt was a superb clinician and diagnostician and had inspired many of us. As a future doctor, you can be the hope of the febrile, the breathless and the pregnant. Do not let what you see in the misadventures of some doctors discourage you. Instead let them be teachers to you for you now know what you do NOT want to be like. When a doctor have taken medicine to be a business or trade, he will ask what are his achievements — material success, cars, wealth, etc.. When a doctor has taken medicine to be a calling, he will ask what has he become — his character. I hope we doctors can discern and reflect on what we have become in the practice of medicine, and teach all our young charges, delivering them safely through the long 5 years of protracted labour into a reasonably sane medical world. Daryl, I hope I have helped you somehow. Your aunt, Prof Florence has taught me much, this is my little tribute in return, my Bunga Emas to her. 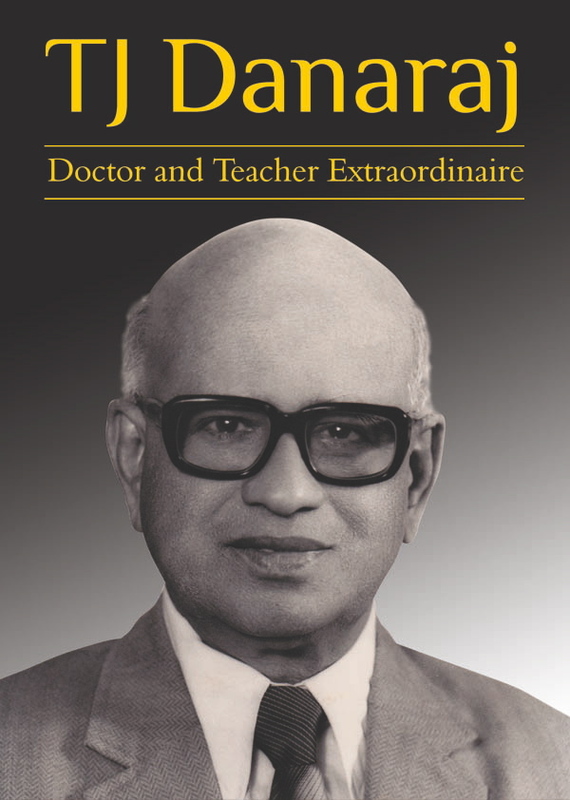 There is a new book “T J Danaraj Doctor and Teacher Extraordinaire” by Professor Dr. HO Wong, on Professor TJ Danaraj, the Foundation Dean of the Faculty of Medicine, University of Malaya. 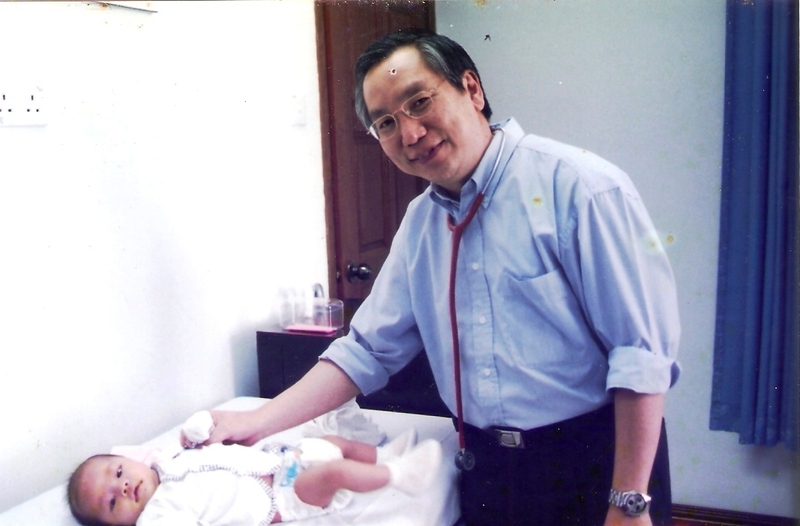 Those of you who have had the privilege of being taught by this giant in Malaysian medicine would have no doubt this was an extraordinary individual, an exemplary and dedicated teacher and phenomenal clinician. The Academy of Medicine has copies of the book and it is available for order from the Academy of Medicine. The cost of the hard cover is RM100 and soft cover RM50. The payment is to be made in favour of the Academy of Medicine of Malaysia. For more information contact the AMM. The book will also be launched at the Academic Scientific Meeting by Tun Dr Mahathir, a student of TJ Danaraj himself, on May 5-6 2012 at Saujana Hotel Subang. In the book you will read about a Giant who terrorized his medical students because he wanted them to be the BEST; read how he whacked, scolded, pushed his students to excellence. Girls burst into tears, boys ran up and down to the library, the duster flew, the pointer poked and the tendon hammer whacked; yet all these same students now write glowing tributes to a man whom they grew to love and respect. 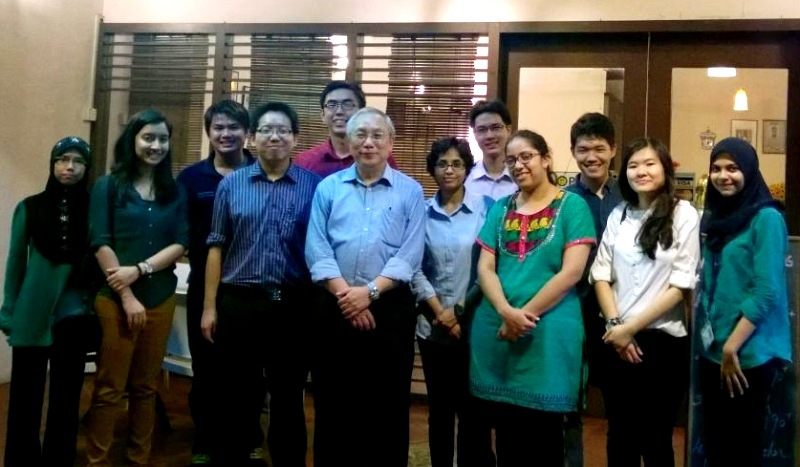 Read about how he grew up in colonial times to be a doctor, fighting discrimination and difficult times, how he transformed a piece of empty land on a hill at the University of Malaya into a Temple of Medical Knowledge and service, and where he was the High Priest of Medical Education till he was 80 years old. Only failing health stopped him from teaching his beloved students. This is an excellent post by Ilana Yurkiewicz who is a first year medical student at Harvard Medical School which was originally posted on her blog Unofficial Prognosis which is a blog with The Scientific American website. Posted in full here with her permission. On our first day of physiology, our professor showed us a picture of an elephant. He let us look at it for several seconds and then asked: what is this? On the next slide, he put up a chest X-ray. We stared for a few more seconds and were then asked: what’s the diagnosis? He was demonstrating what was done in a recent experiment that examined the way doctors think. In the study, similar images were shown for similarly brief amounts of time, but to physicians rather than first-year medical students. It took doctors the same amount of time to recognize an animal as to make a diagnosis – under 1.5 seconds. Moreover, brain scans revealed that the same parts of the brain were being used to do both tasks. This was not the first time in medical school I was made acutely aware of how I think. What are the ways a person could identify an elephant? One method is working from the top-down. You could observe: this is large, grey, and has four legs and a trunk. Then you would come up with possible objects that possess those qualities, exclude ones that do not make sense, and continue to collect and reason through data until you arrive at the correct diagnosis. Or, you could reflexively recognize the pattern and make the identification. For something like an elephant, which approach we take is obvious. We call upon pattern recognition all the time, without even consciously noticing that we’re solving a problem. It can be extremely beneficial. Imagine if you had to derive an elephant from the top-down every time you saw one. Moreover, imagine you saw twenty elephants a day. You wouldn’t have the time to reason through your assortment of observations in each case. The ability to perceive patterns and instinctively classify them based on things we’ve seen before supplies us with the tools to derive those things we have not. As a result, it makes sense that medicine would rely on this mode of thinking. Medicine is huge in scope. It is cumulative. Many doctors are taught the top-down approach – meaning take a few facts, and formulate a diagnosis. Receive a few pieces of the puzzle, and extrapolate the whole picture. Entering medicine means learning a new language, and you won’t be able to solve complex problems if you are looking up every other word and puzzling through every concept in the question. There are undoubtedly disease patterns you should know, cold. But there are downsides. Jump to conclusions based on only a few facts, and your ideas are prone to biases. There is the bias associated with arbitrary prior experience; you might be more likely to make a diagnosis of one illness, for instance, simply because you happened to see it before. You might try to massage your observations into preconceived models in which they do not belong. Or, you might discard stubborn data completely, assuming them flawed. Maybe most of the time, your prediction based on pattern recognition will be correct. But you will be wrong about the complicated cases. And being wrong in medicine can have serious consequences. Our professor’s point in showing us the elephant experiment was not to encourage us to think like the doctors in the study. Rather, the point was to show what we might be prone to do – and thereby to encourage us to resist those impulses. Do not guess, we were advised. Do not just memorize patterns. Work through each problem, and fill in each step. Following these recommendations will be an uphill battle. Problem-solving takes time – something that is relentlessly lacking from medicine. Medicine is fast-paced. People talk fast and make decisions fast. The doctors in the study diagnosed chest X-ray lesions in a mere 1.33 seconds. As I continue to learn more and find myself in increasingly fast-paced environments, I realize I may have the urge to memorize patterns. I can look at lab values and remember that the last time A and B went down, C and D went up, and feel tempted to speculate that the same disease process underlies a new case. I will likely have colleagues and superiors that endorse rather than temper this kind of thinking. But medicine is more complicated than that. I hope I can develop the ability to recognize the elephants of medicine when I need to, but to remember to pause and think: what else could be large, grey, with four legs and a trunk? What other information would I need to distinguish the possibilities? Thinking like this will be more work. But it just might lead to discovering what’s really going on. About the Author: Ilana Yurkiewicz is a first-year student at Harvard Medical School who graduated from Yale University with a B.S. in biology. She was a science reporter for The News & Observer in Raleigh, North Carolina via the AAAS Mass Media Fellowship and then went on to write for Science Progress in Washington, DC. She has an academic interest in bioethics, currently conducting ethics research at Harvard after previously working at the Presidential Commission for the Study of Bioethical Issues. Follow on Twitter @ilanayurkiewicz.